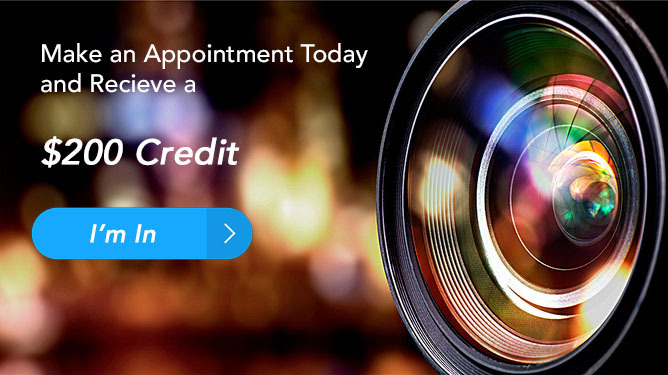 Wedding planning means paying attention to every detail from finding the perfect dress, the best wedding photographer and the most beautiful flowers. 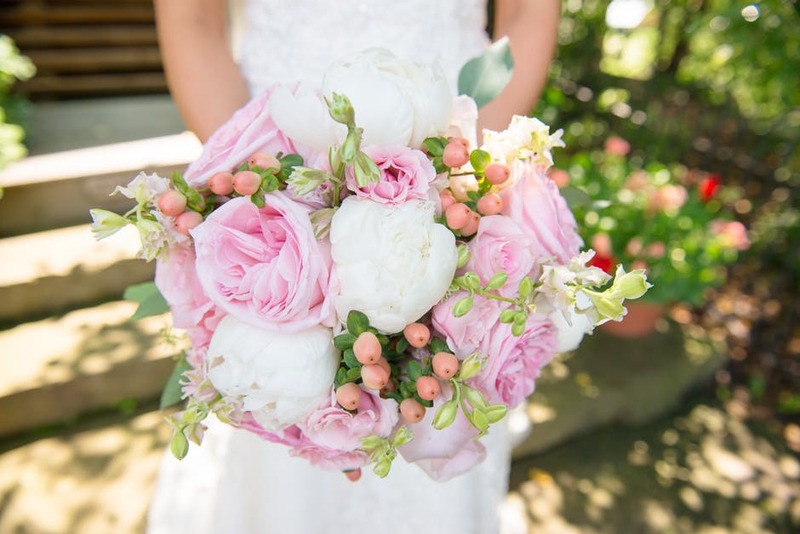 When deciding on your wedding flowers you can choose them based on your color scheme or by selecting your favorite flowers for their bouquets. Another great approach to choosing wedding flowers is by picking flowers that special meanings behind them. 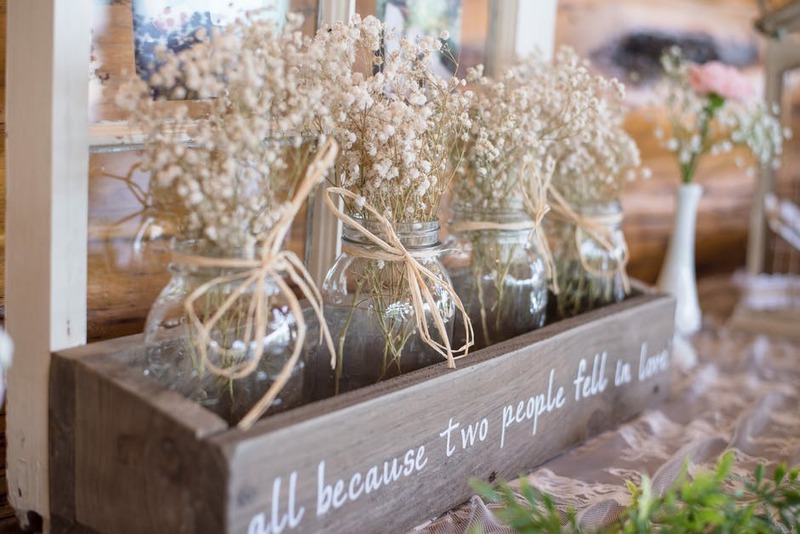 Baby’s breath is used to symbolize innocence much like wearing a white wedding dress. Another perk to choosing this flower is they are an inexpensive option and they’re incredibly popular right now. Freesia is another flower that represents innocence. Another perk of this lovely flower is that they have a wonderfully fresh, fruity scent to them which will complement your bouquet perfectly. These are another very popular wedding flower. They are said to represent magnificent beauty and are a perfect flower for any season. They come in a wide variety of colors and can match nearly any wedding color scheme. Gardenias are another stunning wedding flower and have a wonderful scent to them. They represent purity and joy which make them a great option for your bouquet. Hydrangeas represent understanding and heartfelt emotions. They are not only a reasonably priced flower but come in a variety of colors and look stunning all year round. Lily of the Valley is a traditional wedding flower commonly used in bride’s bouquets. 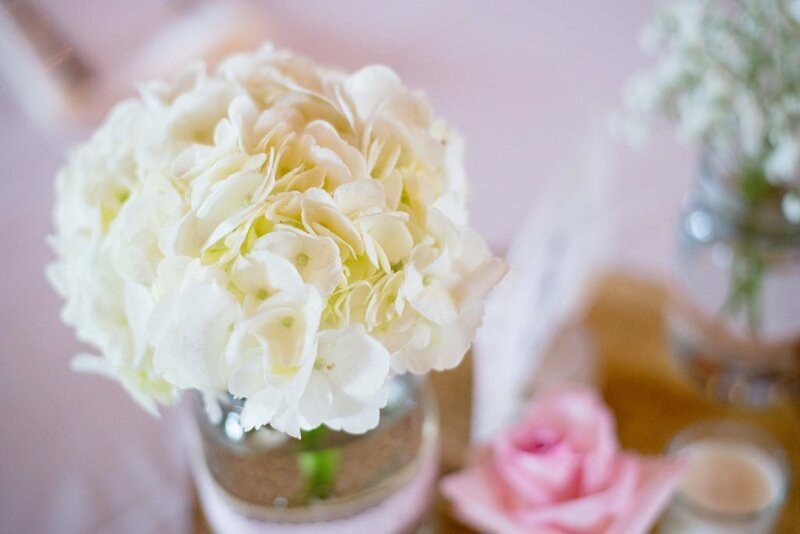 They symbolize happiness and have a light, fresh scent making them a perfect wedding flower. Orchids are another perfect flower to add to your bouquet or centerpieces. 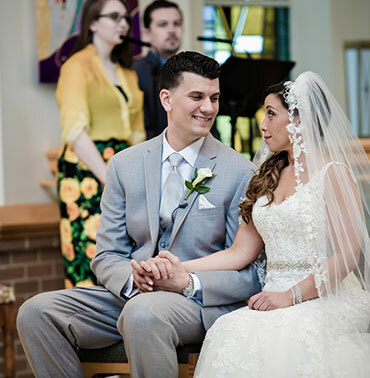 They are a symbol of beauty, love, and fertility and they come in a variety of colors and sizes which means that they are ideal for any wedding in any season. Peonies symbolize love, happiness, and ambition. They are in season during the warmer months which means they are perfect for spring and summer weddings. 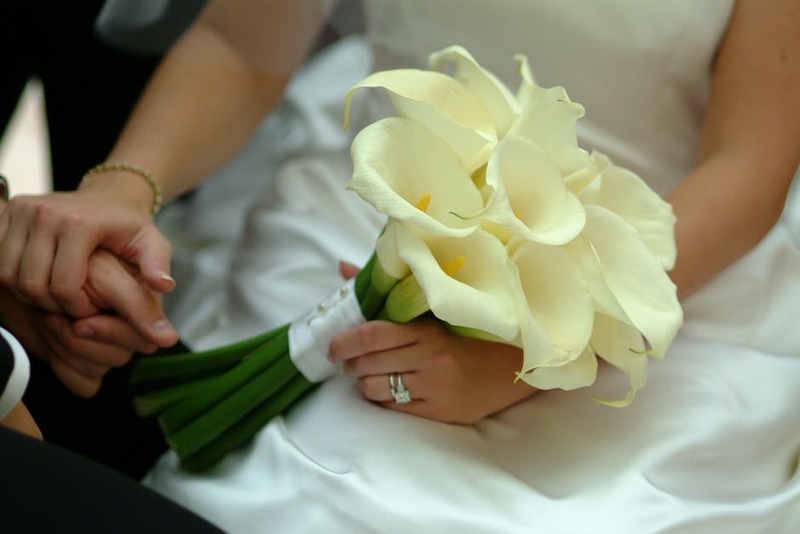 Stephanotis means “marital happiness,” which is enough to make them a perfect flower for any wedding. They are a wonderful addition to bouquets and make perfect boutonnieres as well. 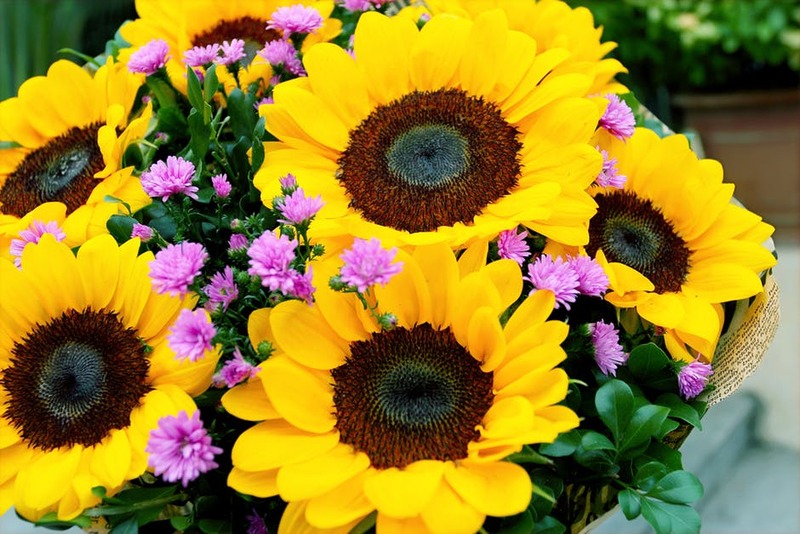 Sunflowers are a great choice for late summer and fall weddings. They symbolize adoration and loyalty, which make them an ideal choice for your bouquets and centerpieces. Tulips symbolize both love and passion. They also come in a wide variety of colors and are perfect for spring weddings. Anemone symbolizes expectation. They also represent good luck and protection against evil. Whether you’re a bit superstitious or just love the flower they are a perfect addition to your wedding flowers. The different colors of carnations all symbolize something different, for example, pink represents boldness, red represents love, and white represents talent. 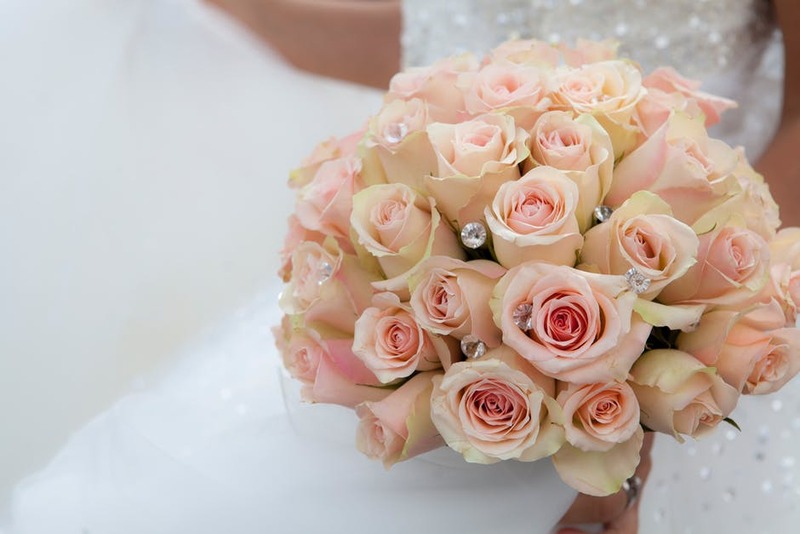 Roses are, of course, a classic wedding flower and for good reason – they symbolize romance, love, and beauty. They also come in a wide variety of colors and sizes including tea roses and spray roses.